In 2016, you’d be hard-pressed to find an internet user that hasn’t used the Google search engine, at least once, in an effort to solve their query. Whether this user is looking for a solution to their problem, searching for the perfect something to buy online, or they’re just curious about “how far away is the sun from the earth,” Google certainly has the answer. And sometimes, you don’t even have to leave the search engine to find it. Google isn’t the only search engine on the market, though. As of January 2016, Google’s market share remains the same as 2015 – at 63.8%. Maintaining the same market share year over year speaks to a stable company, especially when your closest competition is more than 40% behind you. But when you’re Google, maintaining your market share isn’t good enough. While Google remained the same, their closest competitor Bing actually increased their market share. As Bing continues to increase their market share, even if it’s only by a few tenths of a percentage point here and there, they’re encroaching on Google’s territory. Competition within any market keeps it healthy and alive. 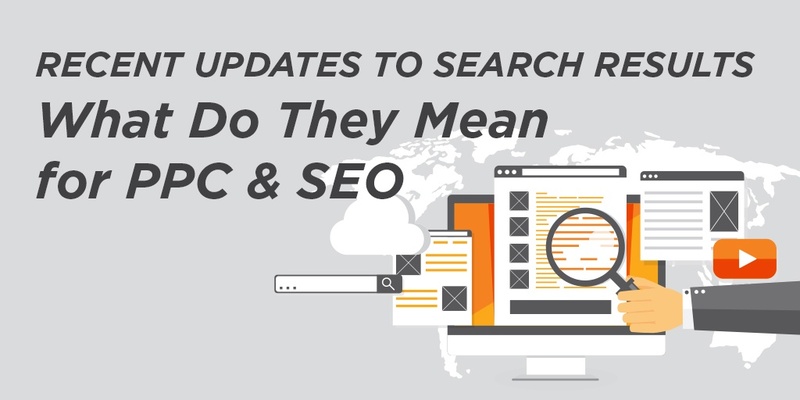 In the case of search engines, stiffer competition means more updates to search results and functionality. Cutting edge technology is being developed at Google every day to ensure that the search engine keeps evolving before the competition has the chance to catch up. With so many recent updates to Google’s advertising service, Google AdWords, the search engine continues to make it clear that paid ads are the future of search. More and more advertisers are paying to play in Google’s search results – and the search results are starting to reflect that. In February, users may have noticed that their search results suddenly looked different. In fact, it was around this time that Google pulled pay-per-click ads from displaying in the right sidebar of a user’s search. Instead of a sidebar full of paid ads, it’s now blank. PLAs (product listing ads) and knowledge graph cards are the only elements that may still display on the right sidebar for select searches. This change to the search engine results pages (SERPs) was one of the biggest of the New Year from Google. Advertisers were understandably shaken by the adjustment. Instead of eight to ten chances of your ad appearing above the fold, you would be left with only four. The effects of removing sidebar ads were felt on mobile devices, too. Some searches from a mobile device like a smart phone return mostly ads, well above the fold. Currently, most search results pages display only three or four paid links above the organic blue links. Since this change, advertisers have had to get serious about the PPC accounts – weeding out low-ranking keywords that just don’t work and cutting down on the excess. Even though bids haven’t skyrocketed like some advertisers feared, the competition for those four spots has become even harder. As search ads disappeared from the right sidebar, shopping ads stuck around. The placement of PLAs hasn’t changed much. In a search for “kitchenaid mixer”, we’re still seeing results displayed to the right of the search result in the sidebar. Instead of products being displayed on their own, we’re starting to see many more useful extensions accompanying each listing. Along with reviews, new PLA extensions include things like special offer tags, price drop percentages, and in store location pins. Google has made it easier than ever for users to shop right inside the engine, never having to navigate to another website. More changes for PLAs are still to come. For listings at the top of the SERPs, Google is experimenting with expandable blocks. A user can toggle a button to reveal or hide more sponsored product listings. Upcoming product filter buttons will allows users to go even further, sorting PLAs by price, location, and ratings. Aside from an impending overhaul coming to Google AdWords in the next year, the biggest change affecting PPC is expanded text ads. Currently, AdWords allows for one 25-character ad headline and two 35-character copy lines. Instead of 60 short characters, advertisers will soon have 115 to work with – that’s almost 50% more room to grab users’ attention! Advertisers are understandably excited about this change. More characters mean more opportunity to craft a really great ad. The expanded text ads aren’t currently a feature in Google’s AdWords platform, but will be soon. This is just one of many updates coming to a revamped AdWords. No word yet on when this platform will be released to the public, but it’s already being actively beta tested by select users. Google’s focus on updates to its paid advertising service show how much focus the company is placing on paid advertising. 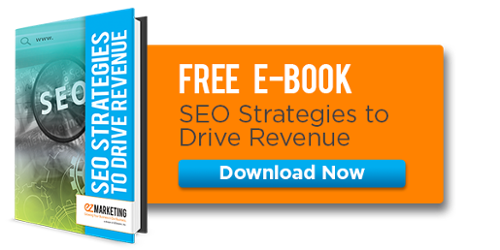 So much so, that some businesses feel as if there’s no other way to rank within the search engine. As many updates as AdWords and paid search have receive in the past few month, organic search isn’t far behind. This update was already covered from a paid advertising perspective. However, removing ads from the sidebar has had an equal effect on organic search, just in a different way. When Google removed ads from the sidebar, they added one more ad to the three that would previously display above organic blue links on a SERP. Four paid ads instead of three on the new SERPs mean there is even less room for organic results. 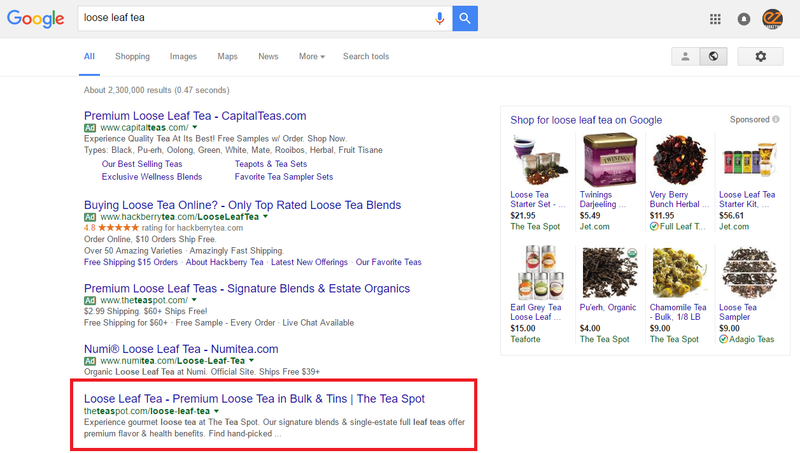 In a search for “loose leaf tea”, a user is confronted first by four paid ads, then by a block of PLAs to their right, and finally a few organic results toward the bottom of their screen. Depending on their screen size, sometimes only one organic ad is visible above the fold. 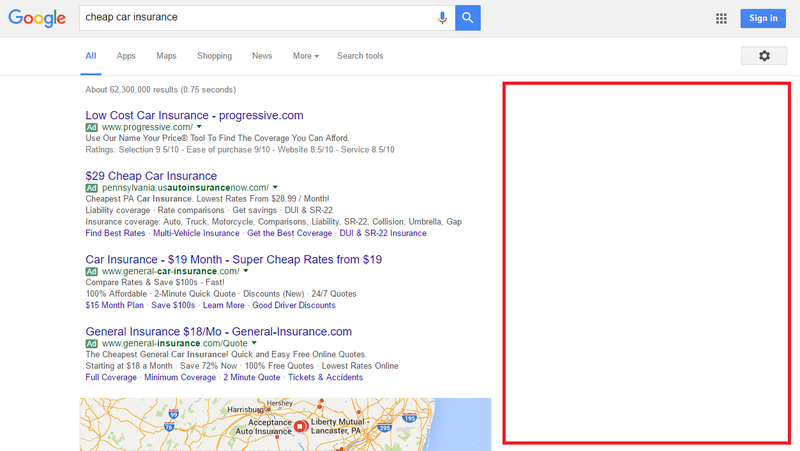 One more ad may seem insignificant, but the amount of prime real estate is takes from organic results is not. You may have already noticed how things like knowledge cards, local packs, and PLAs effectively push organic results further and further down the page. Sometimes, the first organic result isn’t even visible above the fold. Elements we’ve mentioned quite a few times already, like knowledge cards and local packs, are all known as “rich results.” These are search results that have been enhanced, making them more valuable for users. Just in the last month, Google has begun expanding the rich result repertoire. 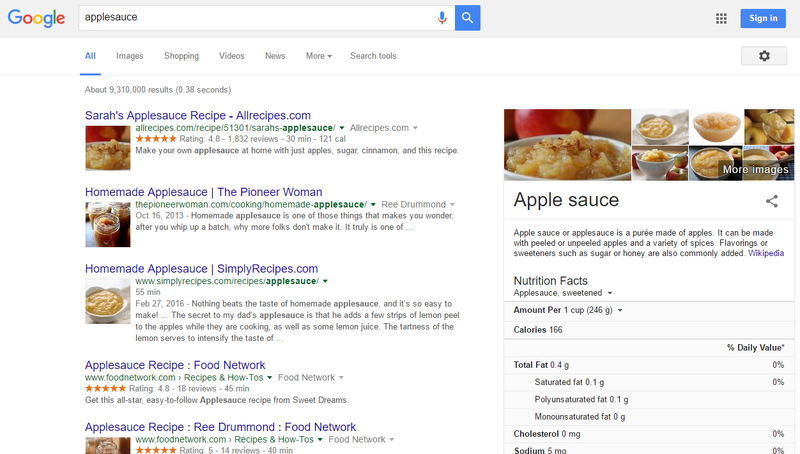 Now, when a user searches for “applesauce”, their SERPs are filled with even more images of food! Instead of a standard blue text link, all searches involving recipes are accompanied by recipe thumbnails. Some searches even include knowledge cards in the sidebar with a definition, access to more images, and nutrition facts. One can only assume since Google is setting such a visual precedent with recipe searches that they won’t stop there. Marketers need to get more creative with their content, producing even higher quality information that’s made to draw users in. The use of thumbnails beside results is just the beginning. AMP pages, or accelerate mobile pages, aren’t new to Google this year, but they are starting to gain some serious traction. Simply put, these speedy mobile pages are made to be consumed quickly. The way in which AMP is built allows for fast load times with little downtime for users. In addition to Google mobile results, you’ll find these pages on Facebook as Instant Articles. As more and more users search on their mobile devices every day, the more people have a need content that loads quickly. In fact, 80% of internet users own a smart phone. It’s safe to assume that most of them have performed a Google search at least once from their smartphones. AMP allows content to be more on-demand than ever. Nothing turns users away faster from your mobile site than slow-loading content. AMP isn’t only the future of mobile search, it’s the future of all search. As the amount of content on the web continues to grow, so does the need for ridiculously fast load times. Google continues to grow and evolve, and the driving force behind most of their changes is to better serve their users. When you understand all of the recent changes and how they impact your PPC and SEO, you can better serve your customers, too.